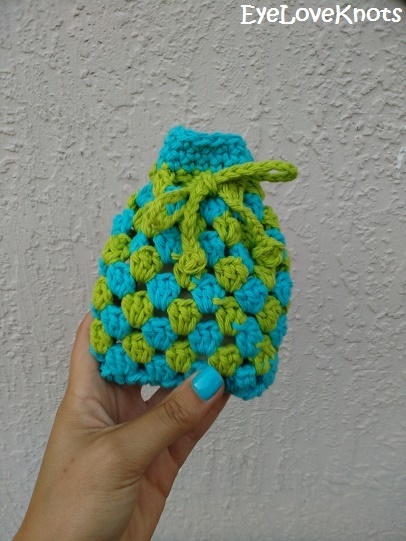 Remember that accessory I mentioned in Wednesday’s 15″ Granny Square post that I said you’d find today? Sorry guys! 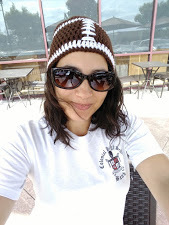 I finished this eBook this week, and have been sooooo excited to share it with you, so I bumped today’s pattern to next Saturday. This eBook is something I have been wanting to put together for quite some time now. 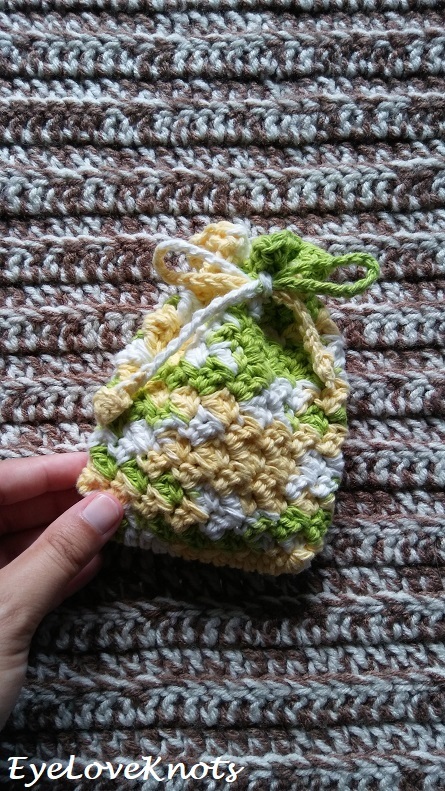 I started these soap cozies/small gift bags nearly three years ago when I was in between relationships, and then they sat… and sat… and went into a WIPs box… and sat, until recently when I pulled them out. 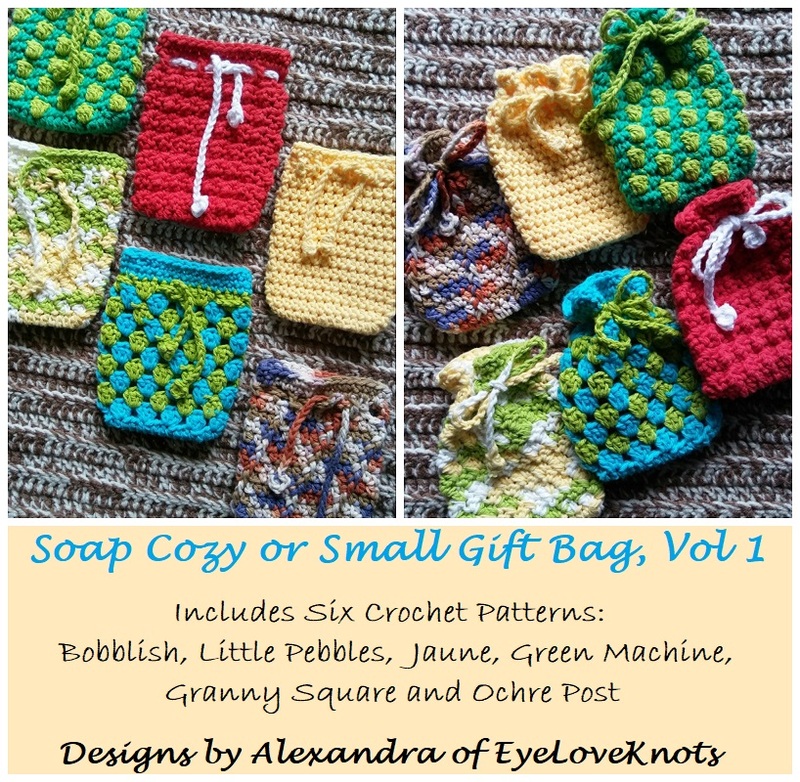 You may recognize the Granny Square Soap Cozy, as that is the only one of these that was published on the EyeLoveKnots blog (back in April of 2017). 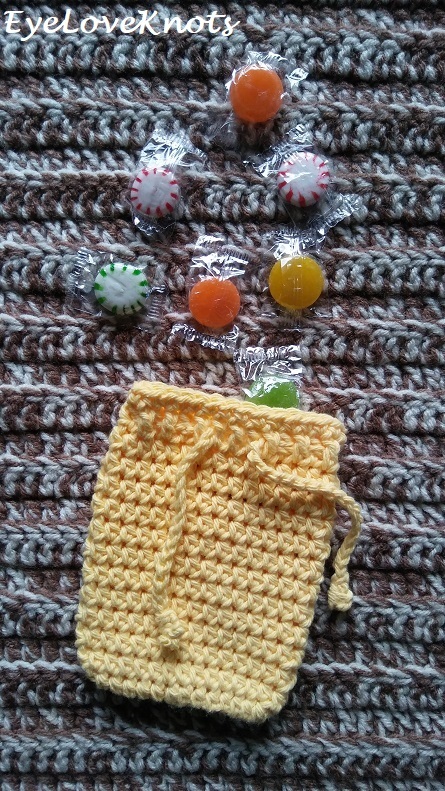 The Bobblish Soap Cozy or Small Gift Bag is the newest one being completed September 2018 making lucky number six. You may notice the title reads “Vol 1”. I already have a couple others ones started for a volume 2, which will include six more designs! 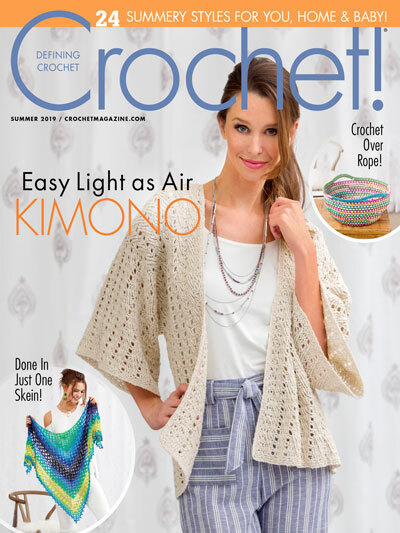 If you would like to see a specific stitch pattern worked up, or have an idea for another crochet pattern eBook, please feel free to contact me! I love hearing from you! 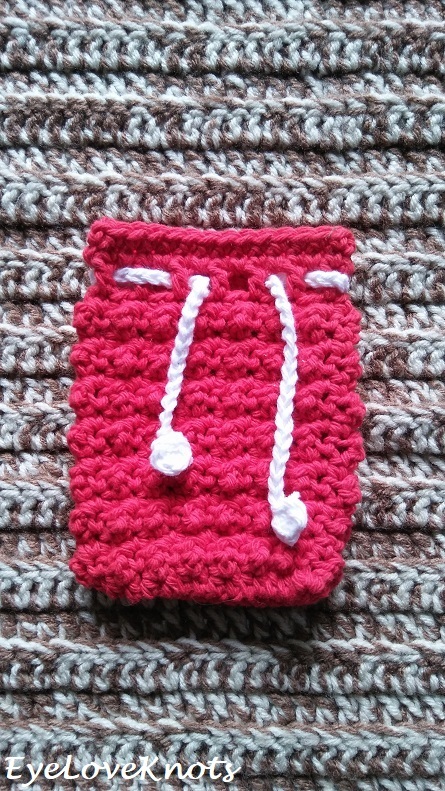 Made in cotton yarn, as I have done, these are perfect soap cozies. Make one to put into a spa gift basket with a nice, specialty bar soap, some crocheted washcloths, and maybe a homemade body scrub! 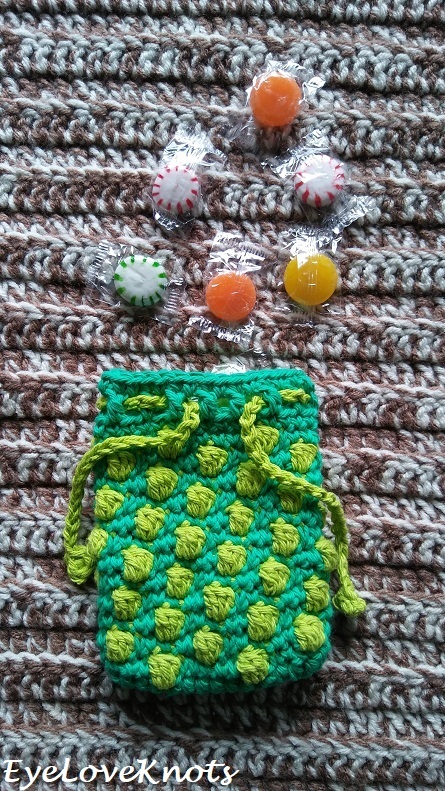 Still made in cotton yarn (or acrylic if you prefer), these also make great favor/gift bags. These are perfect for holding some candy – think birthday or holiday party, or small trinkets and jewelry boxes. The possibilities are really endless. 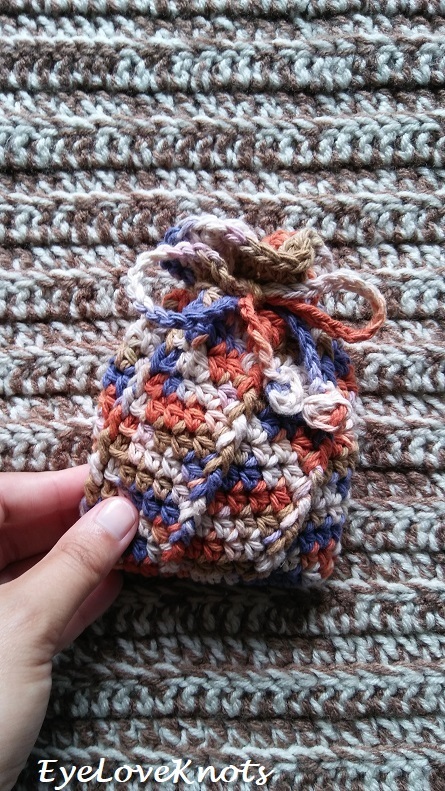 I have worked my cozies/bags up in worsted weight yarn, but you can work these patterns up in any weight yarn with respective crochet hook to make a fun bag in a variety of sizes for any occasion. Each cozy uses about 50 – 60 yards of yarn so these are great for stash busting, and all but the Bobblish one can be worked up in an hour or less – great when you are in a time crunch for a last minute gift. 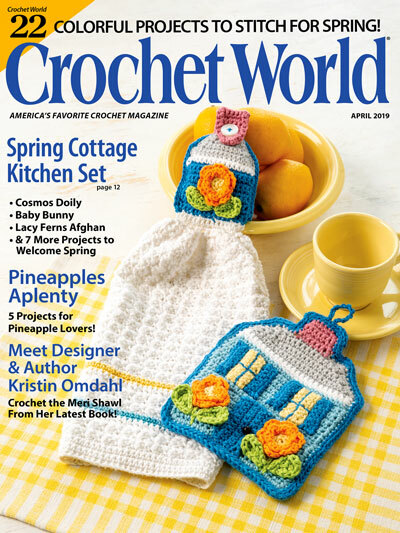 To complete these cozies/bags, you will need to know how to single crochet, half double crochet, double crochet, treble (triple) crochet, and work a front post double crochet. From now until Wednesday, October 31st at 11:59pm EST, you can purchase this eBook for 10% off! These are super cute! 🙂 I’ve never seen this before, either. I really like the ones in the Fall colors. Thanks, Carrie! As soap cozies, it’s a little foreign to me, as I have never kept my bar soap in a bag, but for gifting, I love! I worked some up last year that looked like candy corns, and they made the perfect gift bags of candy for Halloween. So cute! I love reusable gift bags, and these are great. These are so sweet. What a lovely and creative idea. These are very cute, and are a great idea for gifts.